Instead of taking the fast route, TX 71, from Marble Falls to Austin, I opted for the scenic route through the Texas Hill Country, on Ranch Road 1431. This backroad passes through the Balcones Canyonlands Wildlife Refuge. … which provides a nice view of the Texas Hill Country, looking west. RM 1431 is on the right, and on the left, in the distance, is the Colorado River (the Texas version, not the one that runs through the Grand Canyon). 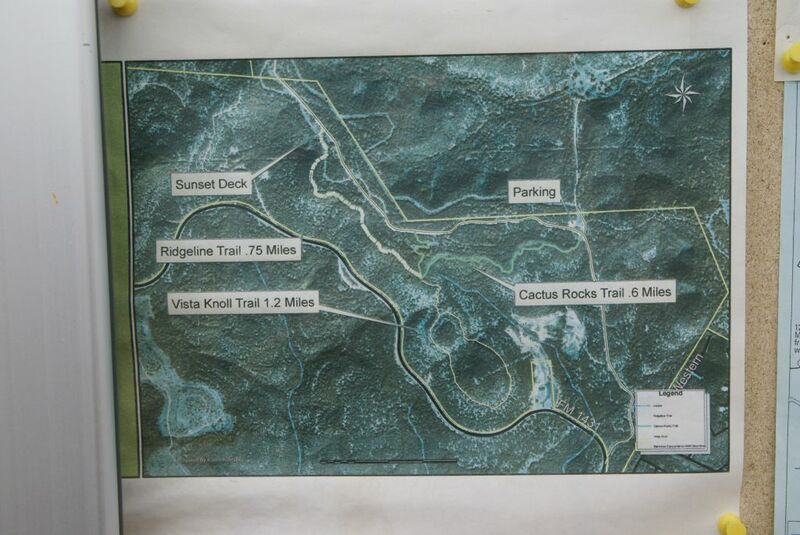 To find the Sunset Deck, you’ll need to drive a few miles up a maintained dirt road. On RM 1431, as you’re headed towards Austin, you will pass a church, then cross a bridge, then look for the dirt road on the left. It is well-marked as an access road to the Wildlife Refuge. As you can see by my pictures, I wasn’t visiting Balcones Canyonlands on a particularly beautiful day. So, after enjoying the peaceful quiet of the Sunset Deck for a few minutes, I drove back down to the paved road, and continued on into Austin. RM-1431 eventually runs into US 183. Follow it south to TX-1, better known as the MoPac Expressway, for a quick ride into downtown Austin, or to our next stop, Mount Bonnell.